Blog about fashion accessories, but also and especially about people wearing and creating them, people around us, giving life and breath to fashion. 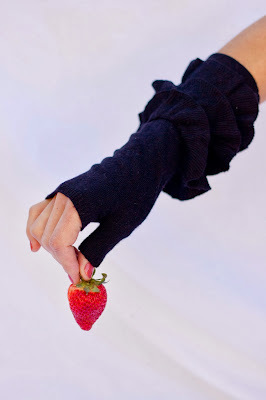 I have some lovely garments in my wardrobe I am addicted to. 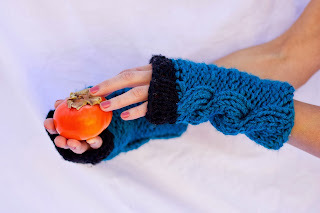 For this fall season it is my Effie's heart blue coat. 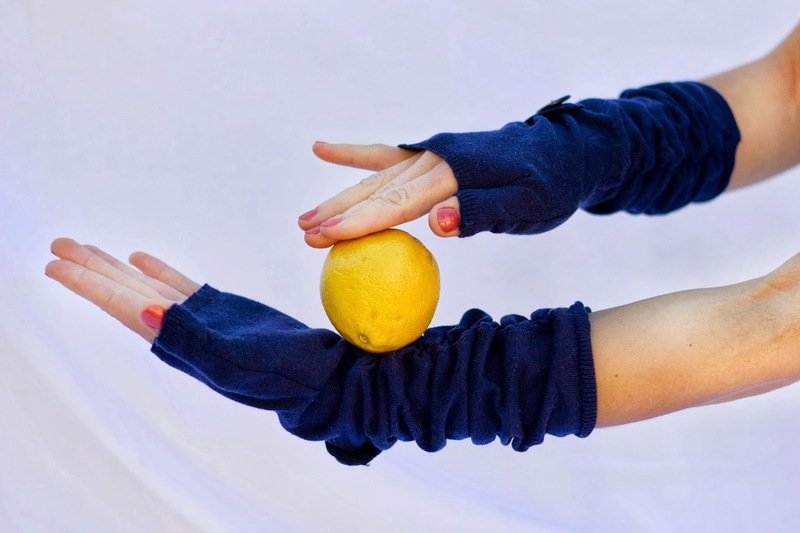 It is nice, comfortable and people on the street ask me where I got it. I love it. 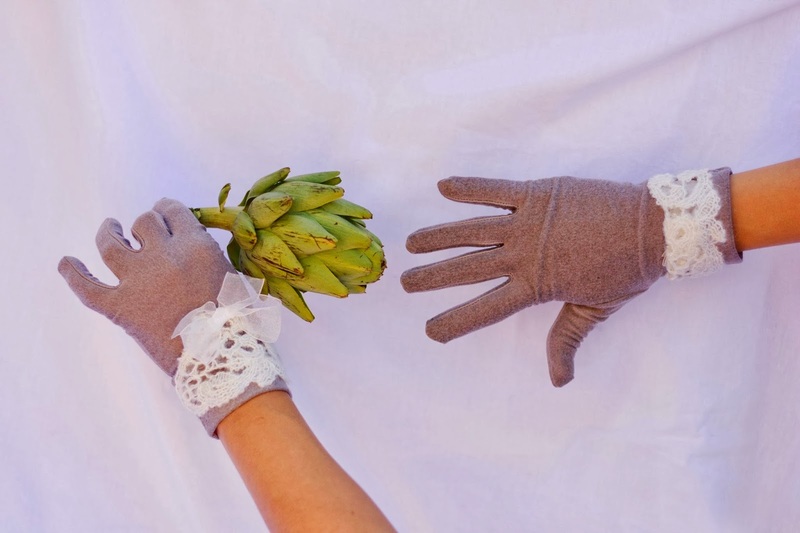 What do Veggies and Gloves Have in Commun? 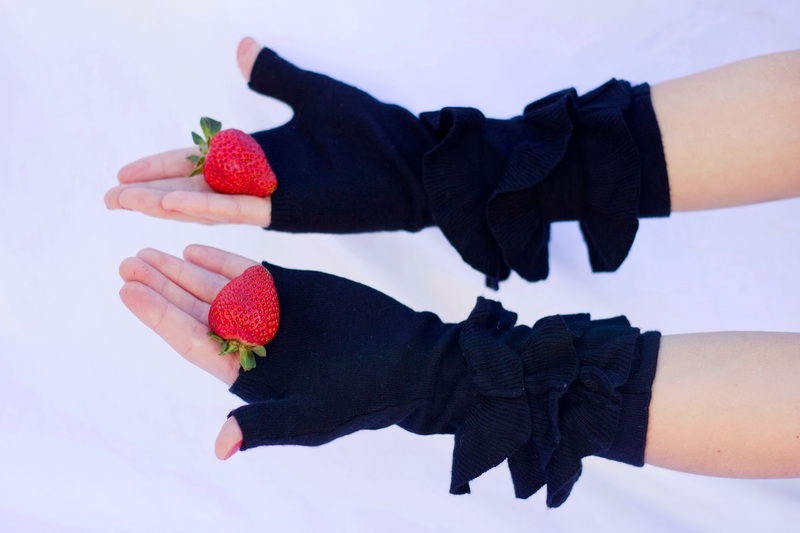 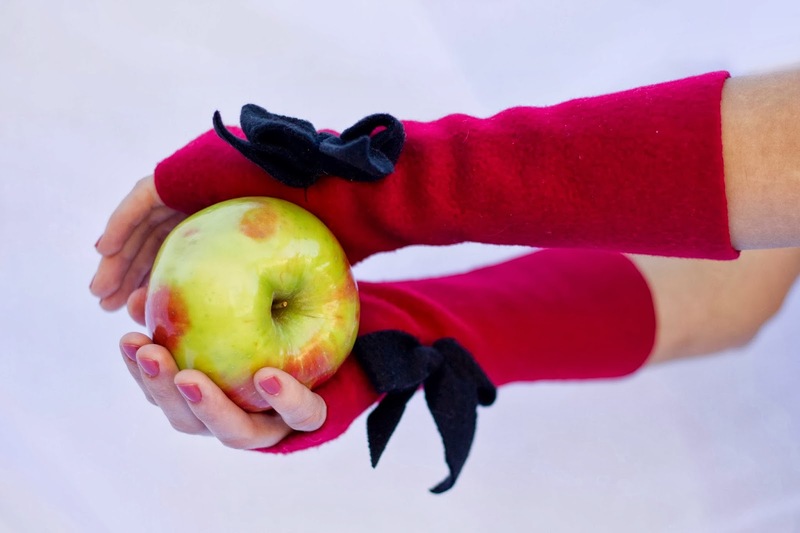 What do veggies and fruits have in common with gloves and mittens? 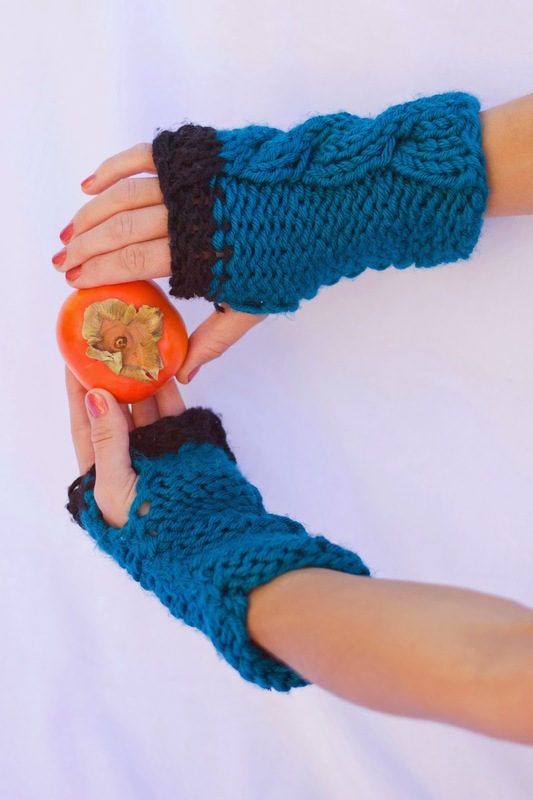 You could say, “nothing,” but if you just let your imagination work, you would be surprised to find that they might have similar colors, textures, and even meanings. 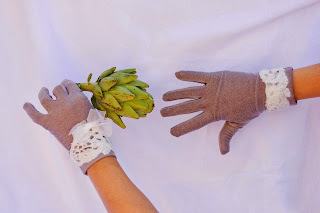 That's what we were trying to capture by bringing to life our still life compositions with gloves, mittens, veggies and fruits. Small, elegant and sophisticated. You can definitely imagine an elegant woman wearing these black and ivory polka dot Microfiber gloves and holding a bunch of grapes. 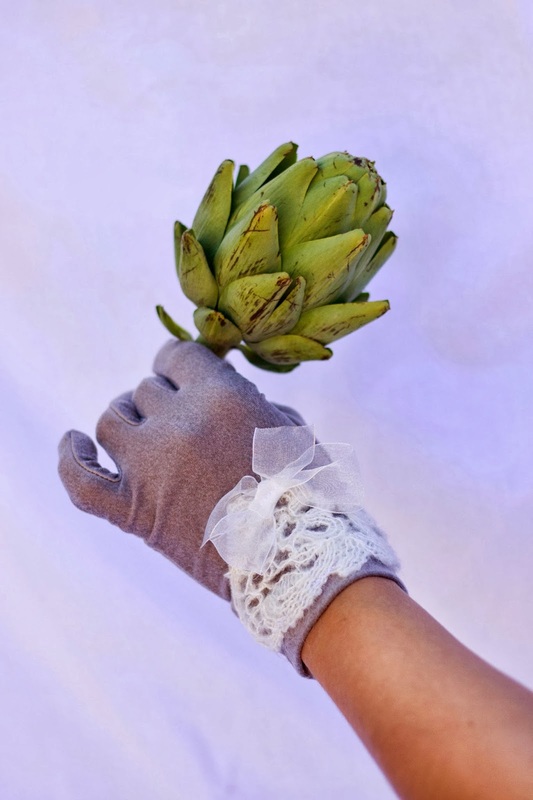 If you've ever been to Trader Joe’s with your kids, you might have already seen a funny sticker featuring a sophisticated woman wearing an artichoke on her head. 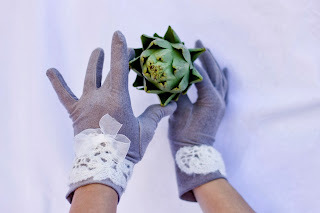 Artichokes are a winter-season edible flower. Yes, a flower! 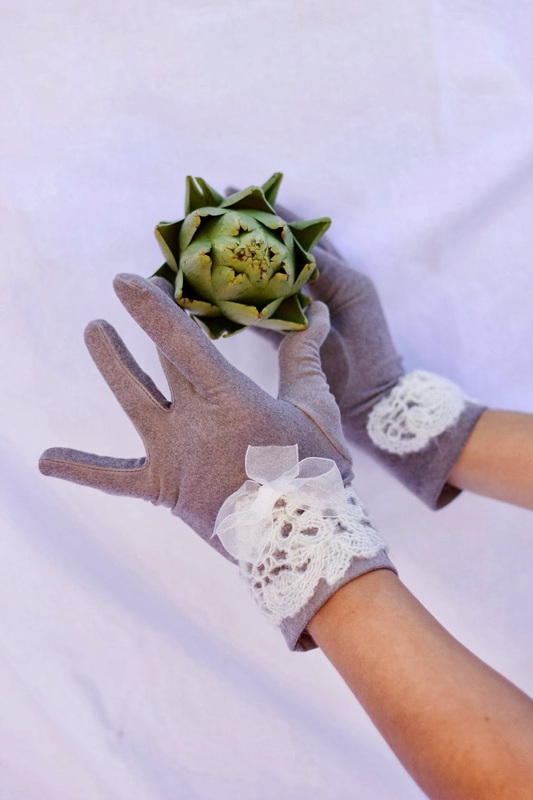 It is also a natural source of folic acid and vitamin C. Artichokes, along with these beautiful taupe and ivory lace Microfiber gloves, are made for the sophisticated woman. 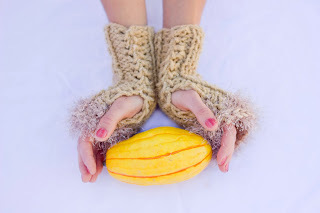 These fingerless knitted mittens are soft and fibrous like a persimmon. Stay warm and enjoy life with these bright mittens on your hands and a piece of persimmon in your mouth. Halloween is over, but pumpkin season is still here. 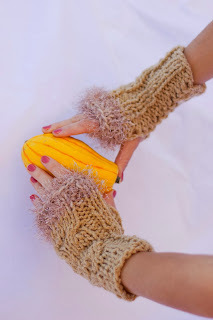 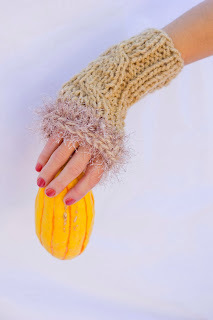 The deep yellow pumpkins are a great match for the beige fuzzy fingerless knitted mittens. 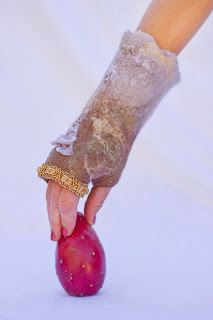 Do you often eat cactus pears? 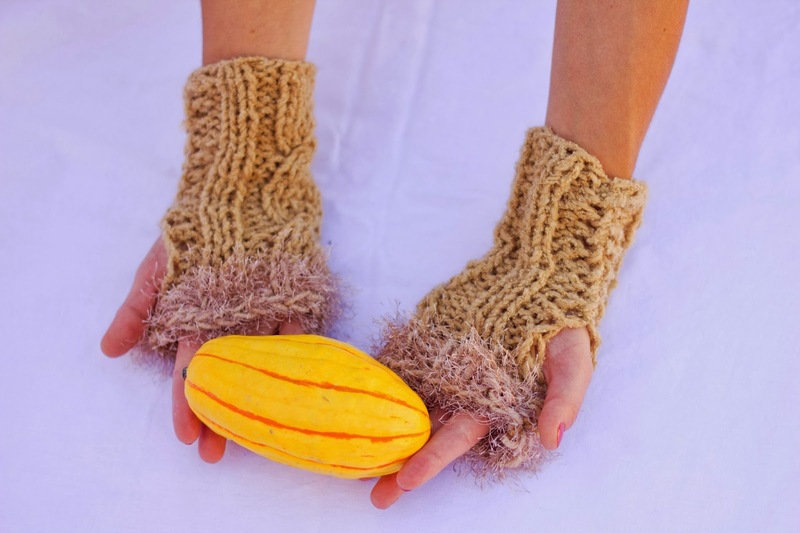 I guess your answer might be “as often as I wear fingerless mittens made of felted wool.” Though, you won't be sorry if you have these funny, warm and unusual fingerless mittens for the upcoming winter season. 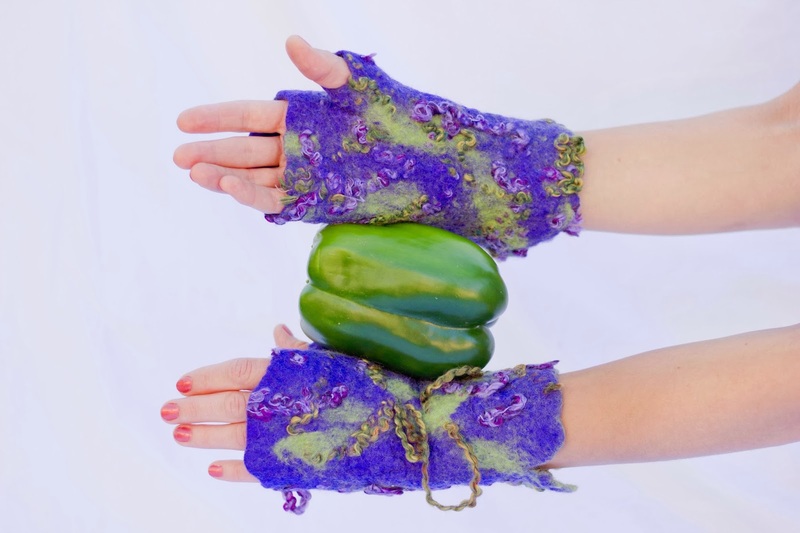 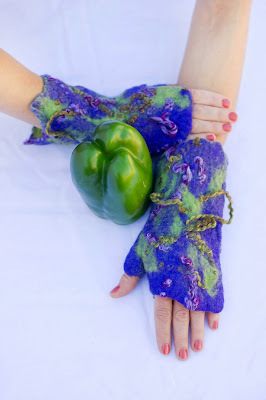 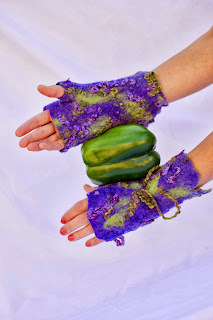 A fresh green bell pepper gets along well with these unusual custom-made green and purple fingerless mittens. Freshen your mind and try new accessories this fall season! Let's flirt with these black Effie's Heart gloves, designed with layers of decorative ruffles. 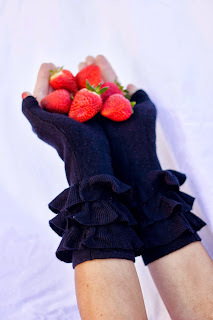 They are feminine and sweet like strawberries. 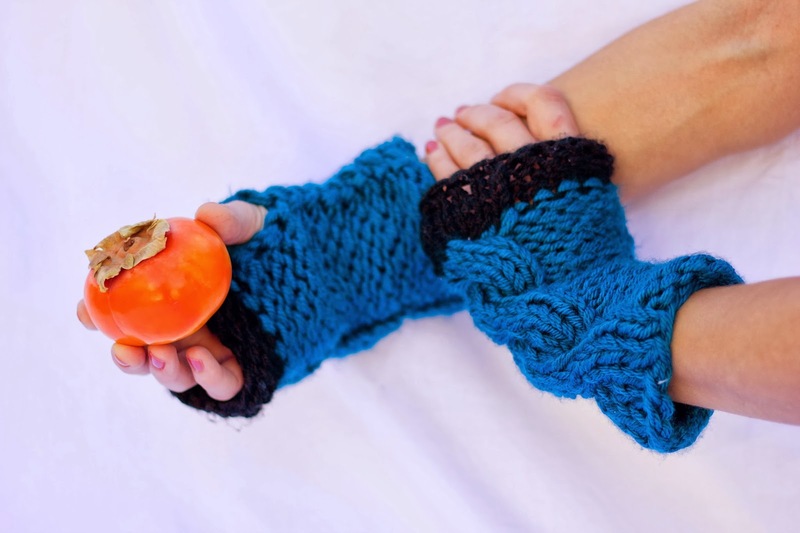 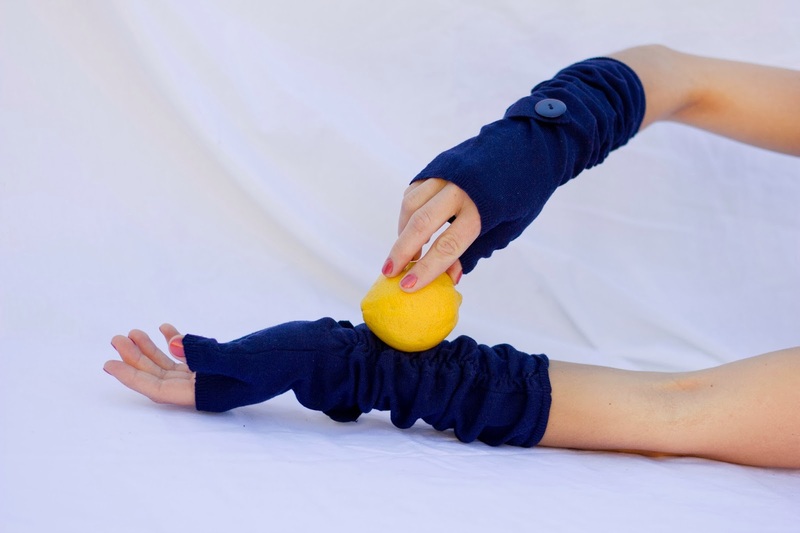 If you love zesty lemon flavor, you would definitely enjoy wearing these blue elbow-length Effie's Heart gloves. 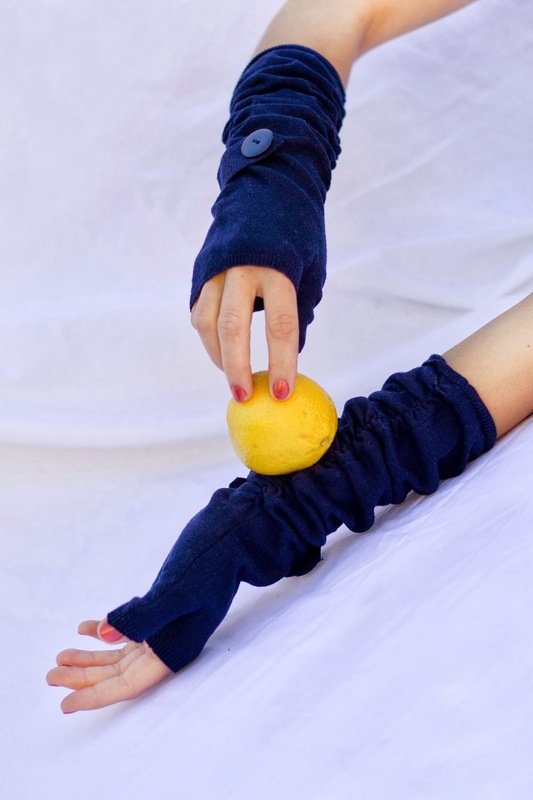 They will bring a sophisticated touch to your classic fall looks, just like a lemon will bring an unforgettable zesty touch to your classic sweet cakes. 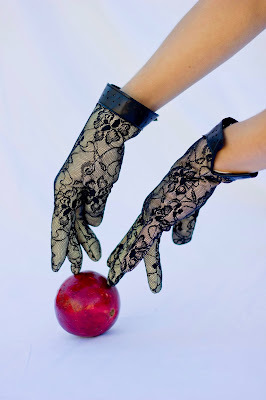 I fell in love with these black lace gloves. Their lace looks just like the inside of a pomegranate: graceful and mysterious. 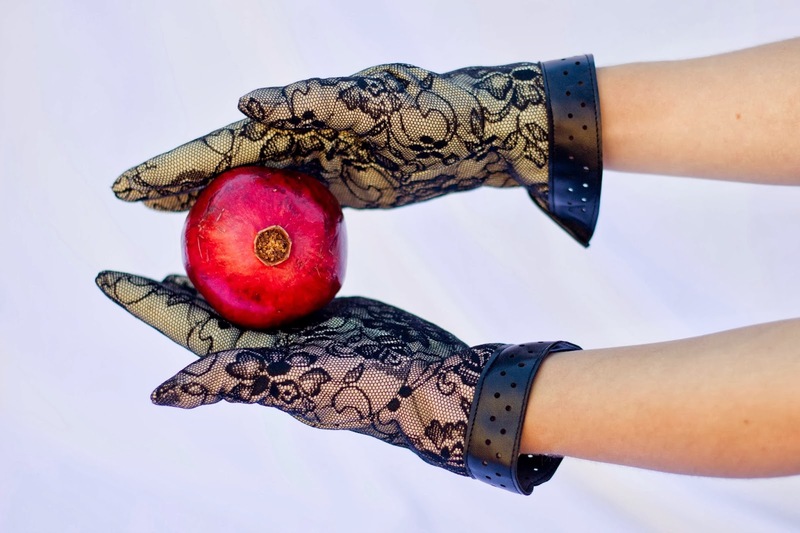 Apple is the forbidden fruit. 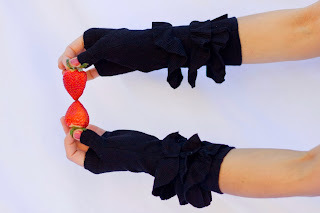 It is also a symbol of love and sexuality. 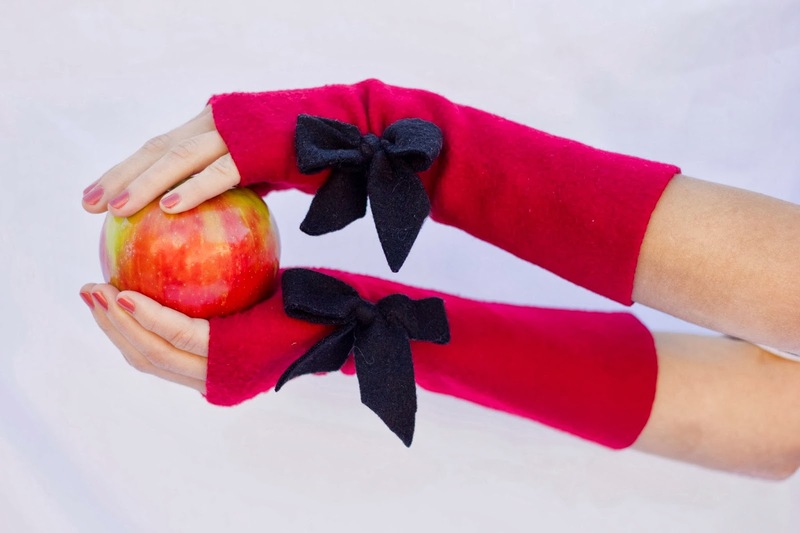 “Love and sexuality” – that's what I am thinking about while putting on these beautiful red fingerless mittens with black bows. I started this blog to talk about accessories. Accessories are the key to fashion and personal style. 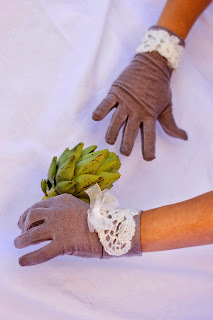 In this respect, a French woman is the ultimate example of style for me. Even wearing simple jeans and a T-shirt, French women manage to be elegant and different, mostly because of their accessories: a nicely curled scarf, a T-shirt elegantly tucked into a little belt, a fine necklace or a big ring... My blog is not only about accessories, it is also about people creating and wearing them. For me, fashion does not exist without the people creating it. 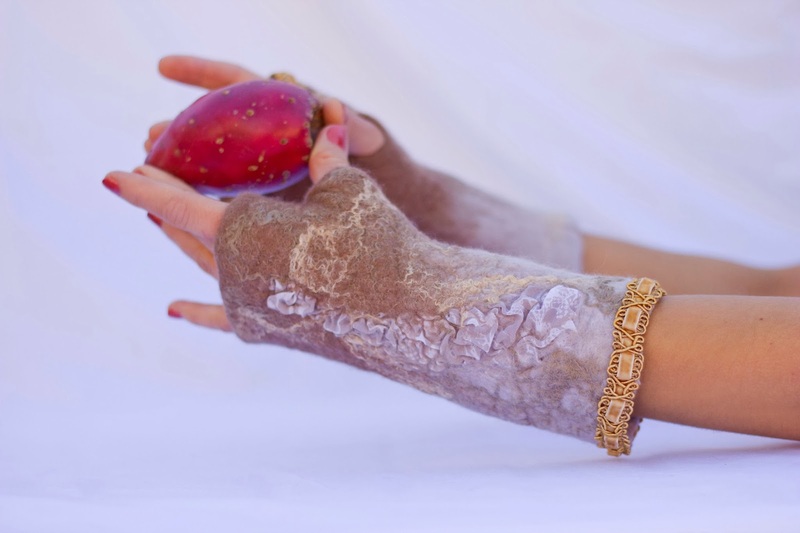 Fashion is a means of self-expression, whether you are a designer or are on the other side of fashion, wearing accessories created for you. 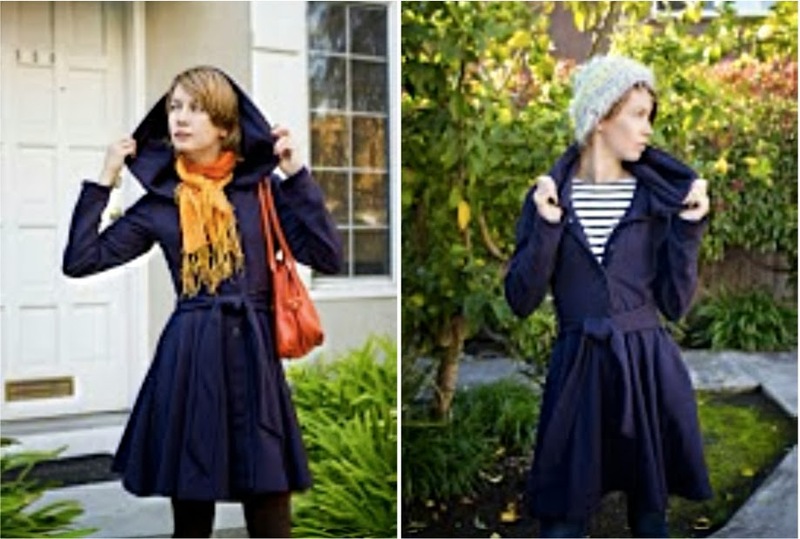 Finally, this blog is about San Francisco Bay Area local designers. 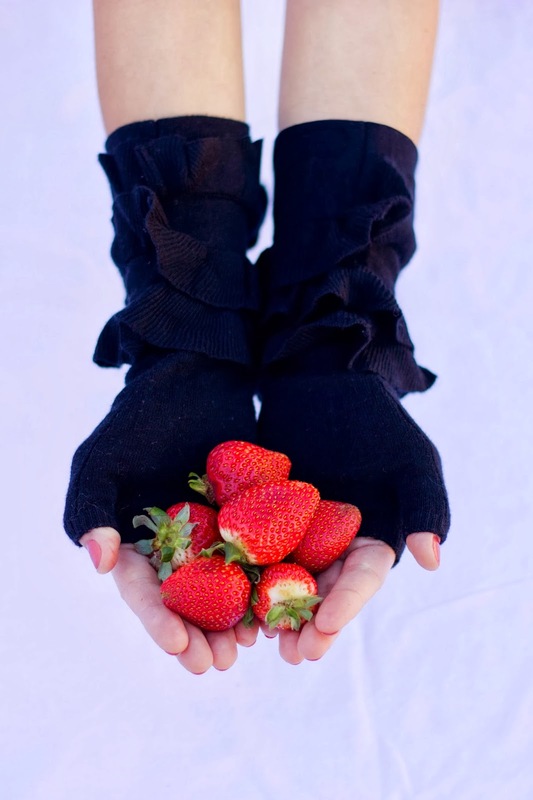 “Buy local” and “support local creators” have recently become my mottos. 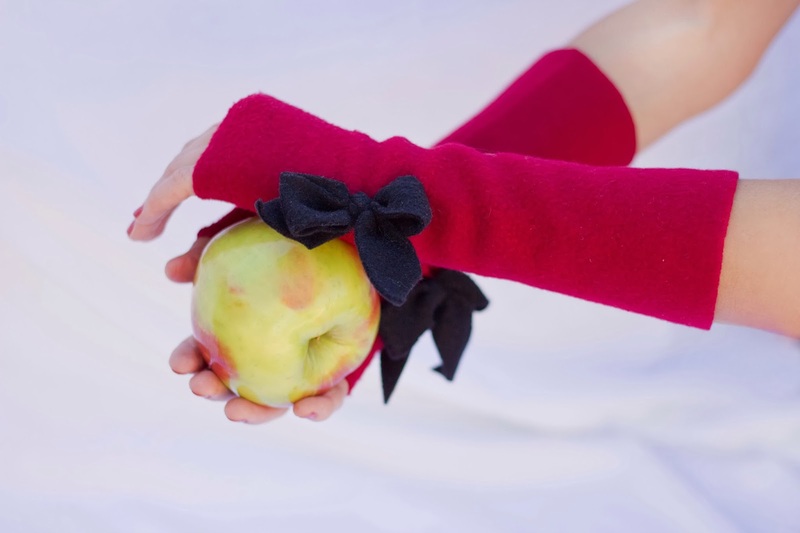 Following this path, I created Rue1 showroom, whose goal is to support local designers through creative fashion shoots, editorials and events. I hope you enjoy reading my blog, and I am looking forward to seeing you back here.